Shaker kitchens offer a uniquely timeless style and are a superb choice for any home. A shaker style kitchen makes the perfect place to cook, dine and relax in style. 18th century and largely migrating to the USA in the 19th century. They set up their own communities and held clean living, honest and frugal values. sell for many tens of thousands of pounds. kitchen. They offer a simple yet distinctive elegance that is instantly recognisable, with classic proportions and often an inset framed panel for doors and drawer fronts. 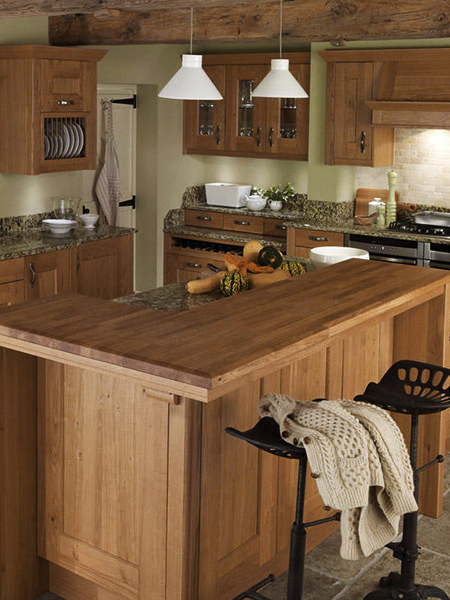 Wooden Shaker kitchens are perhaps the most traditional interpretation of the style. The original Shakers hand crafted all of their furniture from wood, including their kitchens, and so a beautiful wooden finish evokes the high quality detailing and craftsmanship of the past. 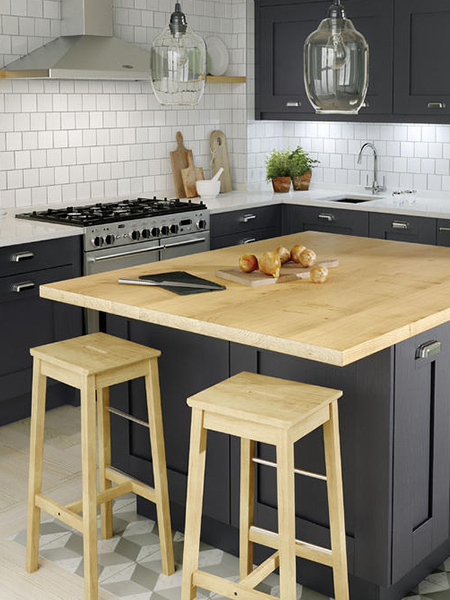 That is not to say that wooden shaker kitchens don't also look stunning in a more contemporary setting. Their beautiful simplicity means they work with practically any scheme. Modern design techniques such as combining materials and colours together in a space brings the look firmly into the 21st century. 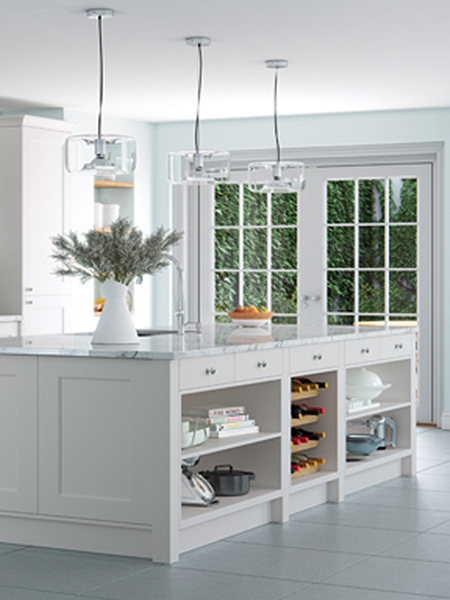 Painted Shaker style kitchens combine the classic lines of the style with a high quality painted finish. They are perfect for people who love the style or concept of a Shaker kitchen but want an option other than a natural wood finish. lights and neutrals to deeper and richer tones. 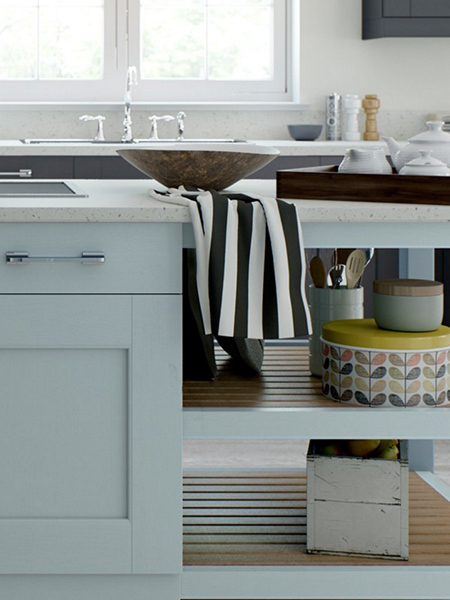 There are no concrete rules to stick to when designing a Shaker kitchen to include colour. Some people like to use a combination of natural wood and painted wood finishes in their kitchen which can look stunning. Another option is to combine different shades of colour, such as predominantly light units with a contrasting darker island, which adds a slightly more contemporary feel to the room. you'd expect such as intelligent integrated storage, sleek appliances, integrated lighting and a high quality finish. Would a Shaker Kitchen Look Good in My Home? If you are wondering whether a shaker kitchen would work in your home, the answer is almost certainly 'yes'. The honest, unfussy styling of shaker kitchens means that they look great in practically any home. Shaker kitchens look beautiful in period properties but also work equally as well in modern settings and the simple, classic proportions offered by this type of kitchen means they will never go out of fashion. 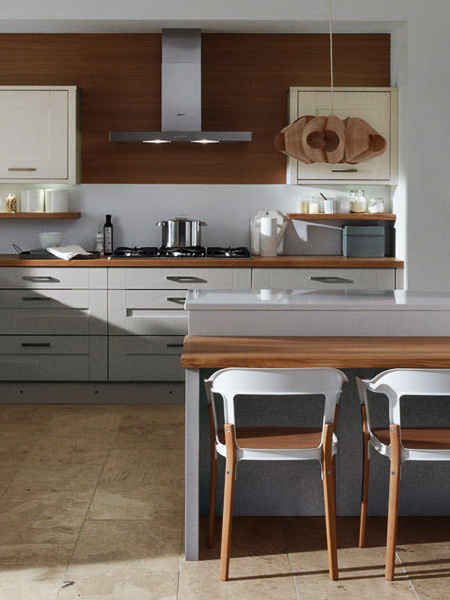 of handles used to the way in which they complement other elements of the kitchen such as worktops and splashbacks, the options to design a beautiful shaker style kitchen are almost endless. interpretations of the style typically use solid wood in their construction and will certainly hold up extremely well to every day use. Painted options provide an extra level of durability to doors and drawers, and with a little care will look fantastic for many years. 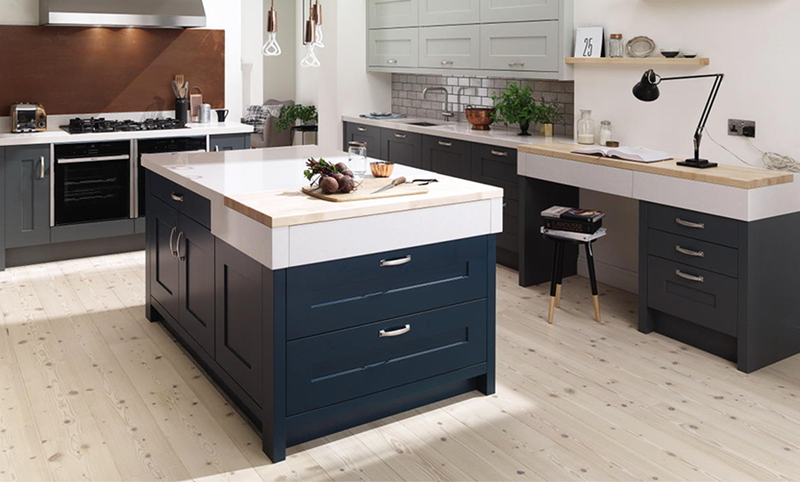 To browse shaker kitchens from leading manufacturers, take a look at our range. If you have any questions about Shaker kitchens, or would like to discuss any aspect of kitchen planning and design, call our team on 01242 523 879 or use our online contact form. 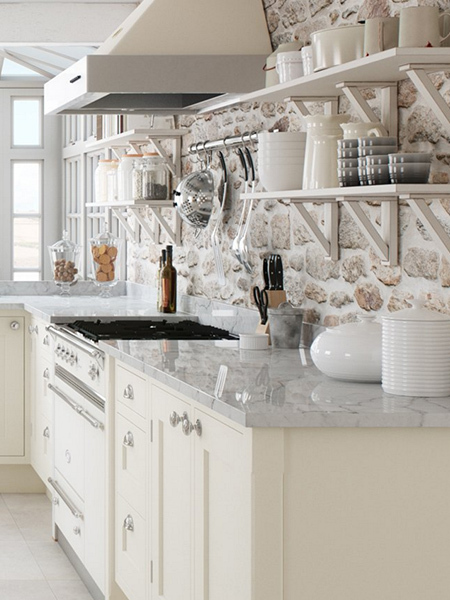 Take a look at our Shaker kitchen inspiration page for more design ideas.